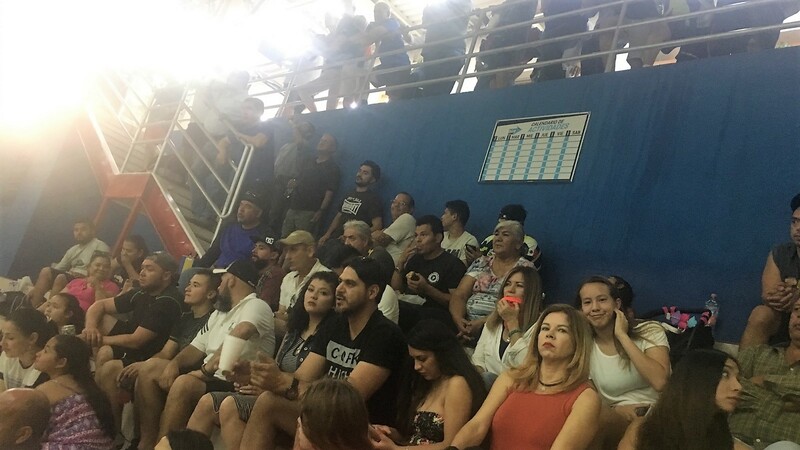 Juarez, MEX, WPH Press, 6/11/17- The Juarez handball community and the World Players of Handball were proud to present the 2017 WPH Torneo de Handball in Juarez, MEX, featuring five WPH Race 4 Eight pros in the top 30, a strong contingent of top open players, and the flourishing JR WPH Juarez junior handball program. 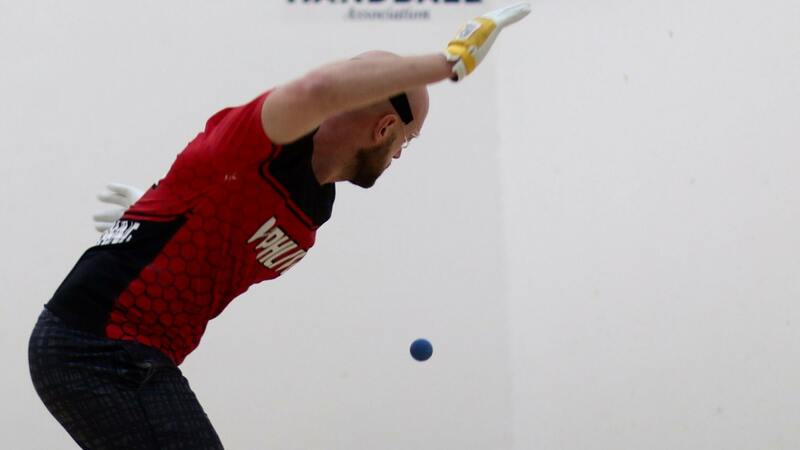 The top four seeds advanced to the Torneo de Handball semifinals, with top-seeded and R48 #5 Luis Cordova cruising past 2016 JR WPH Coach of the Year Drft Fernandez, second-seeded and R48 #6 Sean Lenning and third-seeded R48 #8 Daniel Cordova advancing with little difficulty to face one another in the semifinals, and fourth-seeded and R48 #15 Abraham Montijo defeating R48 #26 and current collegiate finalist Leo Canales to book his spot in the final four. 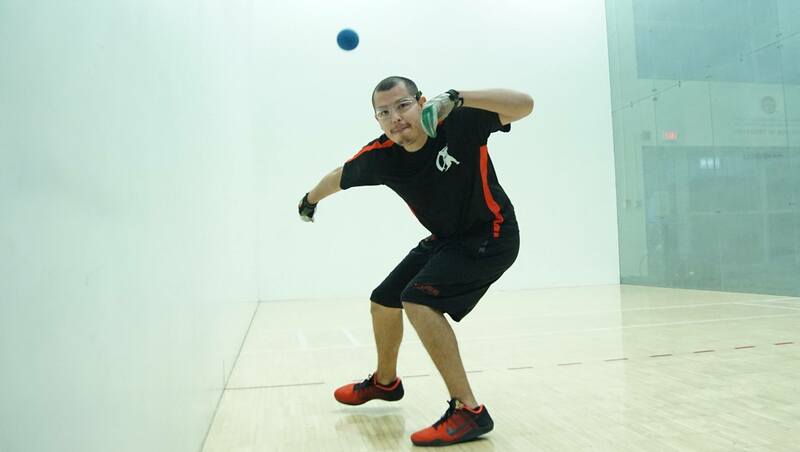 Luis Cordova started well in his semifinal clash with junior and pro rival Abraham Montijo, taking the first game in the upper bracket semifinal 21-9. “I was hitting the ball well and hitting it hard and it seemed like Abe was having a hard time adjusting,” stated Cordova, Jr.
Montijo pushed himself to the limit in game two, as he always seems to do against his junior rival. Montijo was tracking down nearly all of Cordova’s shots, maintaining a 2-3 point lead midway through the second game. Cordova eventually tied the score at 13 and never looked back, closing out Tucson’s Montijo 21-16. 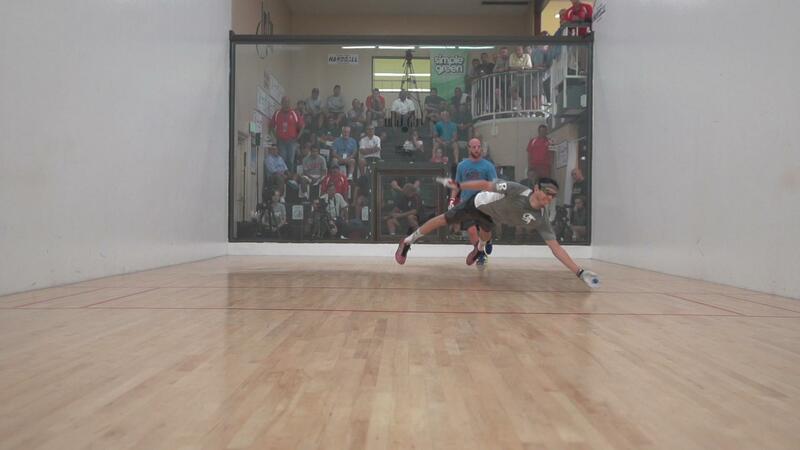 The match of the tournament pitted Race 4 Eight Elite 8 stars Daniel Cordova and Sean Lenning in the bottom bracket semifinal. Daniel entered the match having not defeated Lenning in tournament play and did not appear to be on the verge of his first victory, falling meekly to Lenning in the first game. “Sean played very well in the first game, making a lot of his crazy kills with both hands and using his offense to keep Daniel out of his groove,” stated Daniel’s older brother Luis. Brothers Luis and Daniel met in their third open final in six weeks, with the pair splitting their recent two clashes in Chattanooga (Luis in a tiebreaker) and Ormond Beach (Daniel in a tiebreaker). Editor’s Note: Luis Cordova completed the slam when he and brother Daniel took the doubles trophy late Sunday afternoon. Thank you to 2017 WPH Torneo de Handball sponsors World Players of Handball, E4, La Tostada, Dr. iPhone, Terrasa Jardin Bruselas, Taco El Macizo, Taller El Rudo, Zurvita (Royer Gardea), and Taller La Ranita for a great event.